At DSEI 2017, Saab launched the Arexis electronic warfare (EW) suite for fighter aircraft, including Saab’s own JAS-39E/F Gripen multi-role fighter. The Arexis comprises of gallium nitride (GaN)-based active electronically-scanned array (AESA) transceiver modules (TRM) that serve as ultra-wideband DRFM [Digital Radio Frequency Memory]-based jammers and “interferometric direction finding systems.” Saab added that the Arexis will also be available for electronic attack (EA), in which case the Arexis will be enclosed into an external pod. As an integrated solution, the Arexis functions other contemporary EW/ECM (electronic countermeasure) solutions. It comprises of a radar warning receiver (RWR), enabling the equipped fighter with situational awareness of enemy radar tracking activity. It also includes DRFM-based ECM systems for jamming against enemy radars, be it onboard enemy aircraft or air-to-air missiles (AAM). For dedicated EA roles, the Arexis can be packaged into a pod, which Saab states, “provides high output power” for dedicated EW/EA roles. Contemporary EW/ECM suites already utilize AESA-based TRMs – examples include the Italian vendor Elettronica and its Virgilius and EDGE, or Turkey’s Aselsan and its HEWS. 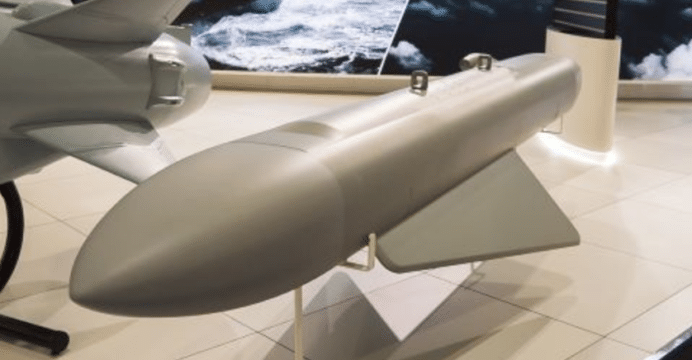 However, Saab has advanced the approach further by incorporating GaN-based TRMs, thus leveraging recent advances in AESA TRM cooling and power-output (which it has implemented on the Erieye and Giraffe). Saab is offering the Arexis as both a standardized solution for fighter platforms and a dedicated solution for dedicated EW/EA roles. Saab’s messaging for the Arexis, particularly its use for intelligence, surveillance reconnaissance (ISR) may suggest an effort to achieve sensor fusion onboard the JAS-39E/F by having the Arexis and the Raven ES-05 AESA radar provide situational awareness of the combat environment. With Saab owning its own land and airborne early warning and control (AEW&C) radar technologies, the sensor fusion element will feed the Gripen E/F from native off-board sensors.